Washington (AFP) - US President Barack Obama warned Tuesday that the fight to stem the Ebola outbreak was far from over in West Africa, and called for continued vigilance despite some progress in the region. "As long as the outbreak continues to rage in the three countries in West Africa -- Liberia, Sierra Leone and Guinea -- this is still going to be a danger -- not just for America, but for the entire world," Obama said before meeting with his Ebola response team. "We are nowhere near out of the woods yet in West Africa." While lamenting the increase in the number of cases in Sierra Leone, Obama cited the "good news" from Liberia, where "our efforts, both civilian and military, are really paying dividends." He said that while the number of cases was on the wane in Guinea, those stricken with the deadly hemorrhagic fever in that country lived in "very remote areas." "Some of the international coordination still needs to improve," Obama said. "Although we should feel optimistic about our capacity to solve the Ebola crisis, we cannot be complacent simply because the news attention on it has waned. We have to stay with it." Nearly 2,200 US soldiers are now in Liberia. The Pentagon initially planned to deploy up to 4,000 but now the target level is at 3,000. "What we found working with USAID (US Agency for International Development) and the government of Liberia was there's a lot of capacity here that we didn't know about before," General Gary Volesky, head of the American military contingent in Liberia, told reporters last week. 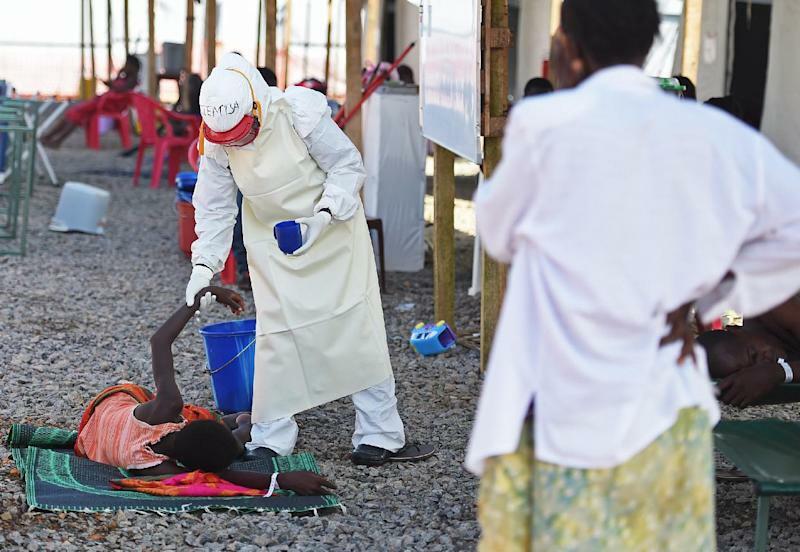 The World Health Organization announced on Friday that the outbreak -- almost entirely confined to West Africa -- had left 5,177 people dead from around 14,500 cases since Ebola emerged in Guinea in December.